I'm morena and proud. I don't think anything will ever change that. I've never been one to shy away from the sun or wish I had whiter skin. However, after a whole summer of bumming under the sun, I tend to get so insanely dark that even the Amaro filter on Instagram can't help me out. So, after the summer, I change my skin care arsenal up a lil bit and try to look for products that will even out my skin tone and lighten me up a bit. Lucky for me, SkinWhite decided to send me some of their products over. And, while I was skeptical about how effective they would be (as I am with practically any products sent my way), I was pleasantly surprised by the results! 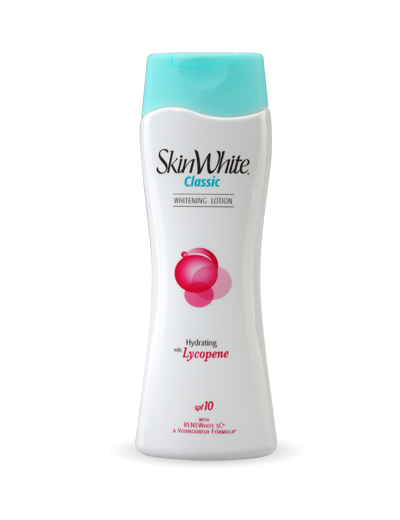 The SkinWhite Classic Whitening Lotion promises fairer and hydrated skin in just two weeks! What it does is deeply moisturize the skin while protecting it from the harmful rays of the sun at the same time. It also helps protect the skin from skin cancer and photo aging. 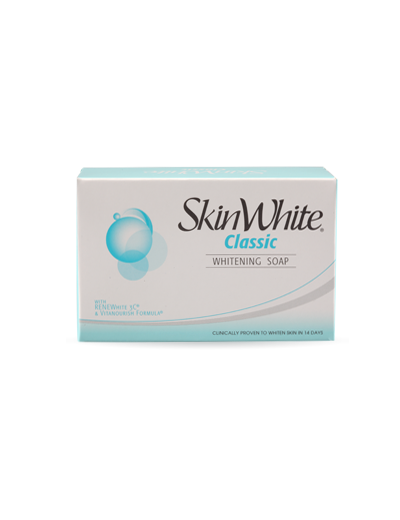 The SkinWhite Classic Whitening Soap also promises whiter skin in just two weeks! What it does is nourish the skin with Vitamin B5 and Vitamin E to ensure beautiful, blush white skin. It is available in 65g, 90g and 125g sizes. My daily SkinWhite regimen basically consists of using the SkinWhite Classic Whitening Soap whenever I shower and then using the SkinWhite Classic Whitening Lotion after I shower and before I sleep. While I didn't really think the SkinWhite Classic products were making a difference, my friend's sister commented out of nowhere that I had gotten fairer! When you get a comment like that from someone who has no idea what your skincare regimen is like, then you can be sure that your skin care products work. Ano mas maganda skinwhite or silka?